Track lighting offers complete lighting design versatility. Set the perfect mood with ambient illumination or provide the proper accent light to live, work and play by. 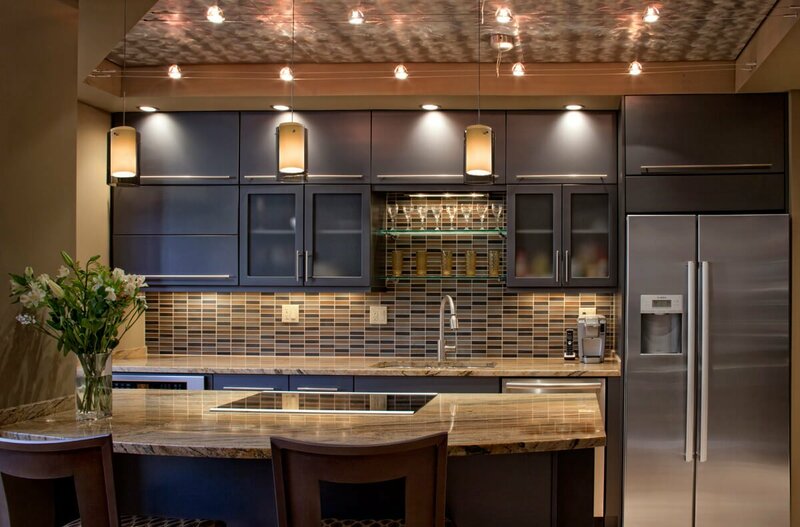 When a ceiling can’t accommodate recessed lights, because of beams, for example, track lights enables you to install fixtures close to the ceiling, keeping the line of view clear. It’s best for directing light at art and objects, as well as for task lighting multiple areas of a larger room at once. Also, if you like to change the positioning of your furnishings and accessories, track lights offer much more flexibility to adjust your lighting accordingly than fixed lights. A track light system consists of lengths of track that are offered in a lot of different types, you can choose between line or low voltage, single or two-circuit, and flexible or straight. 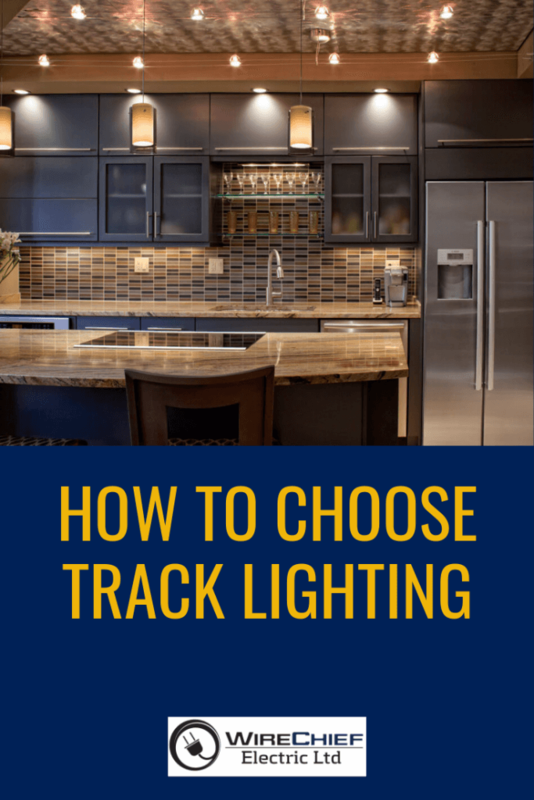 It is essential to consider all factors when selecting a track lighting system to purchase. The brand, adapter standard, and voltage will determine what fixtures can be used with a system and can play an important role in deciding if a system is the right one for a particular installation. Track lighting is offered with the typical straight track or with the flexible track in single-circuit or two circuit configurations. An ample variety of layouts are possible using an innovative assortment of track connectors and track lengths. One of the most important factors to consider is how to provide power to a track lighting system. If power is being supplied in the middle of a run, a canopy with a power feed is needed. If power will be supplied at the end of a run, an end connector with a power feed can be used. The first thing to think about when choosing fixtures for a track system is whether the two are compatible. It is essential to choose fixtures that use the same track standard as the system itself. In some cases, manufacturers will offer adapters so that their fixtures can be used with quite a few of their systems. Another thing to think about is what is being illuminated. Highlighting a piece of artwork would be best done using a precision spotlight while more general illumination might be better served with a flood light or pendant. In addition to the track standard, the voltage of the fixture must also be considered. If a low voltage track head or pendant is to be used on a line voltage track, an inline transformer will be necessary. This usually takes the shape of a small box near the point where the fixture attaches to the track. This transformer will convert the line voltage (120V) feed to the appropriate low voltage (12V) signal mandatory by a low voltage fixture. Most track lights can be modified for many applications by purchasing accessories. You can use unique lenses to change the shape of the light or the color. A framing projector or barn door ornament can be used to help direct and focus the light.